The highly anticipated release of the iPhone 5 tomorrow can change our perspective of using mobile phones in the succeeding days and weeks. With so many rumors about its design and added features months back before the announced release, the iPhone 5 will definitely be the talk of the world tomorrow. There might be some major adjustments like taller size, thinner profile, wider spot for camera and lighter weight, but just like the past versions of the iPhone, Apple will most probably live up with the consistency of its looks and style. As the excitement builds up for the event tomorrow, we here at YTD collected some of the wackiest, craziest, coolest and most unique cases that can be a nice companion for your current iPhone or might as well for the iPhone 5. Enjoy! 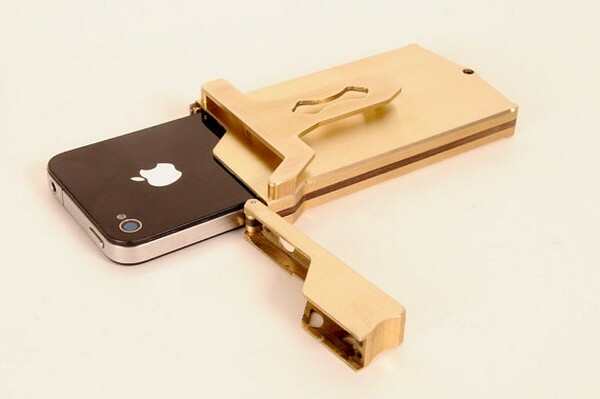 Which design do you think would be perfect for your iPhone? Tell us your thoughts by commenting below. Find us on Facebook, Twitter and Google Plus for more updates. Don’t forget to subscribe to our blog for everyday design news, content and freebies. Stay awesome everyone!